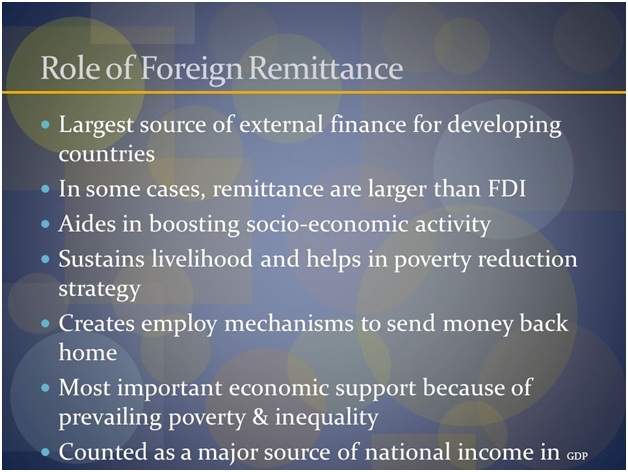 ﻿ India highest recipient of remittances in 2018. India highest recipient of remittances in 2018. India has retained its position as the world’s top recipient of remittances – money sent back home by its nationals working abroad – in 2018, the World Bank said in a report on Monday, according to PTI. The Indian diaspora has sent $79 billion (approximately Rs 5.5 lakh crore) home. China is at second spot ($67 billion) and Mexico at third ($36 billion), according to the latest edition of the World Bank’s Migration and Development Brief.